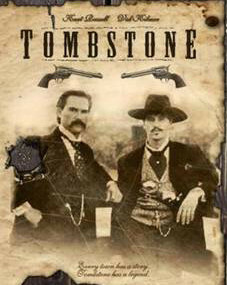 In this 20th anniversary year of the movie “Tombstone,” which gave us Val Kilmer’s iconic Doc Holliday and his “hot-blooded Hungarian devil” of a mistress named Kate Elder, it seems appropriate to celebrate their love affair – or at least trace its origins. Which, according to Kate, were something different than the movies might lead us to believe. Victoria Wilcox named Best Historical Western Novelist 2016 from True West Magazine for The Last Decision (now Dead Man's Hand). Victoria Wilcox named 50th Annual Georgia Author of the Year for a First Novel for Inheritance (now Southern Son). Georgia Writer's Association Silver Medal for Gone West (now Dance with the Devil). For the latest calendar events, blog posts, event photos, book releases and news. Once you have entered your email address check your inbox to confirm your subscription. Victoria Wilcox named 50th Annual Georgia Author of the Year for a First Novel for "Inheritance." Georgia Writer's Association Silver Medal for "Gone West."